for a stem cell R&D fund in December 2011.
research and created the ’Cancer Research Prize’. KRW 2 billion together to create the ‘Cancer Research Prize’ at Yonsei University Health System. 100 million KRW for the Yonsei University Scholarship Campaign. KRW 100 million on the spot. 32 billion KRW to assist in bringing national relief after the IMF bailout. at that time and is known as an laudable act of philanthropy in medical circles. The 1st Beautiful Companionship Benefit Exhibition "Happiness & Love"
CHA University held the benefit exhibition "Happiness & Love" at Pangyo CHA Bio Complex from October 20 (Mon.) to 31 (Fr. ), 2014. 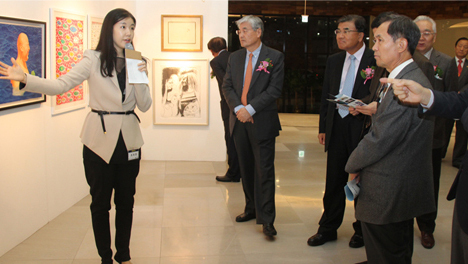 This exhibition was planned to promote sincere charity activities under the concept of happiness, hosted by CHA University Graduate School of Art Therapy and 2U ART and sponsored by Woori Bank, Shinhan Card, Missha, and Keumsan Gallery. All the proceeds from the exhibition will be used for medical treatments of patients suffering from incurable diseases, victims of the Sewol-ho disaster and their families, and art therapy for the students of Danwon High School where most of victims came from. 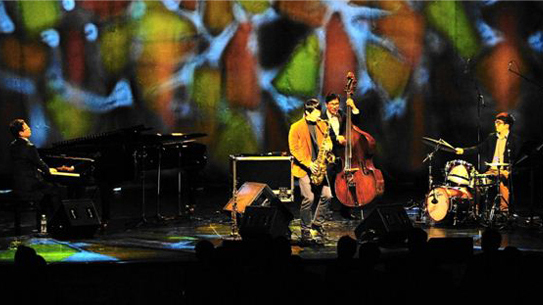 CHA University and CHA Bundang Medical Center held the [Beautiful Companionship] Benefit Concert inviting patients and their families to give thanks to the donators of Beautiful Companionship, professors, and employees of CHA Medical Group. 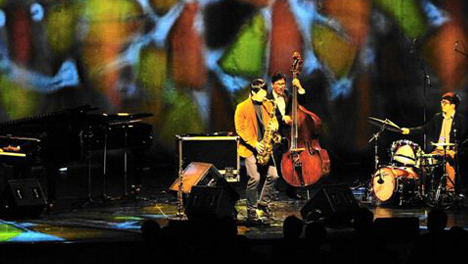 In this benefit concert, held at Seongnam Arts Center on January 17, "Prelude", one of the most famous Korean jazz bands, and honorary ambassador Park Sang-min showed up. All the proceeds and donations from the benefit concert, sponsored by Shinhan Card, Seongnam City Youth Foundation, Coffee Bean Korea, Mode Tour, will be used for medical treatments of patients suffering from incurable diseases. 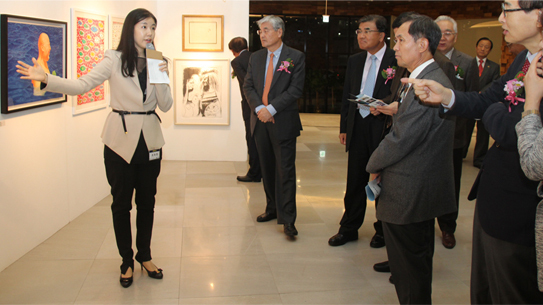 "The Soul of Africa" Exhibition was held at Seoul Arts Center from November 27 to December 11. 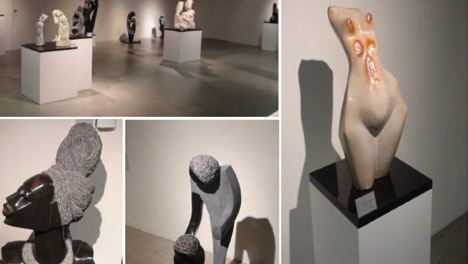 In this exhibition, Zimbabwean Shona sculpture, the most successful sculpture in the twentieth-century modern art history, and artworks of Park Choon-kang, who expressed exotic African women based on his 25-year life in the Republic of Cote d"lvoire, Africa, were on display. Shona sculpture, one of the most successful third-world arts, were applied by artists in the 19th century, such as Pablo Picasso, Henri Matisse, Andre Derain, and Fernand Leger, and affected Fauvism, Cubism, and Surrealism. Many art critics, artists, and media selected five pieces of Shona sculpture or over when asked to select world"s best ten stone sculptures. 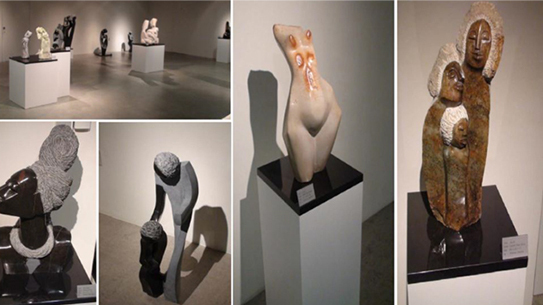 Shona sculpture is known to win high praise from experts and inspire artists. 2U ART CEO Park Hye-yeong, who sponsored this event, said that they will donate part of the proceeds to CHA Medical Group"s medical service "Beautiful Companionship" to help patients suffering from incurable diseases. Recently, collecting stem cells from the amniotic fluid and amnion during delivery has been emerging as a safe way of collecting stem cells. 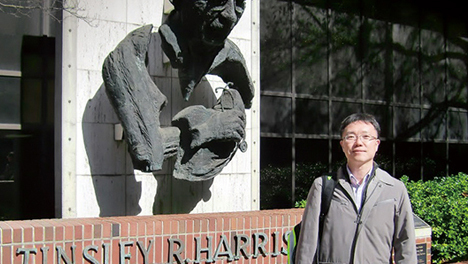 At the UAB in Birmingham, Alabama, the US, CHA Bundang Medical Center Otolaryngology Professor Yu Chan-gi participated in a study of extracting stem cells from the amniotic fluid and amnion and differentiating to osteoblasts generated during the formation and regeneration of bones. The Birmingham campus of the research-centric UAB has a university hospital and departments related to medicine and biotechnology. Tinsley R. Harrison, the author of Harrison"s Principles of Internal Medicine, served as the dean of the UAB known as one of the American universities with the largest medical centers and his statue and building named after him could be found. During the one-year training period, I participated in researches at the BioMatrix Engineering and Regenerative Medicine Research Center, famous for proactive researches about organ regeneration, including cardiovascular systems, pancreas, vertebrae, nerves, and teeth, using stem cells and nano structure. Currently, a study on the use of stem cells collected from the amniotic fluid and amnion during delivery for organ regeneration is being conducted and I participated in a research on the differentiation of stem cells to osteoblasts. Researches about the application of stem cells for treatment are being conducted in various fields. In spite of great achievements obtained so far, it still has some problems such as safety issues of stem cell collection, ethical issues, limited differentiation ability of old stem cells, and risk of cancer. To resolve these issues, collecting stem cells from the amniotic fluid and amnion during delivery has been emerging as an alternative. Stem cells can be collected without any danger to mothers or fetuses and collected stem cells are relatively young and healthy. In addition, collected stem cells have an outstanding ability of differentiation and excellent treatment effects and are barely converted to cancer cells after treatment. This study has just begun but has huge potential to be applied for various treatments. In addition to academic experiences, I learned many things from various experiences and built up good memories during the one-year training period. I"d like to appreciate Hospital Director Ji Hun-sang, former Vice-Director Sim Sang-yeol, Department Head Lee Chang-ho, and other medical staff giving me such a good chance of training. The symptoms of "renal fibrosis", generally found in patients suffering from chronic kidney disease, aggravate renal functions. 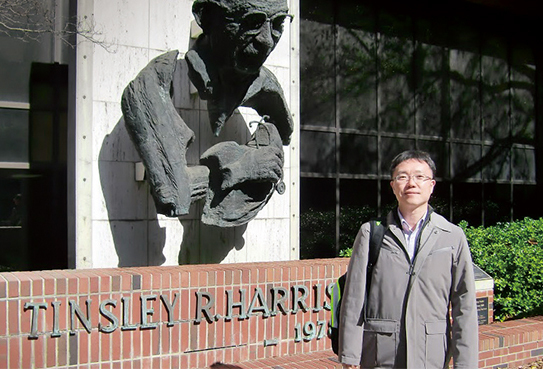 In order to establish the mechanism of renal fibrosis and find a way to inhibit this disease, CHA Bundang Medical Center Nephrology Professor Lee So-yeong went to Brigham and Women"s Hospital of Harvard Medical School located in Boston, the US. Chronic kidney disease is a progressive loss in renal function over three months. Renal fibrosis is a common symptoms of all chronic kidney diseases. Fibrosis, referring to the solidification and formation of scar tissues, is known to be caused by cytokine, immunocyte, active oxygen, fibrous growth factors, and proteolytic enzymes. In chronic kidney disease, scar tissues caused by renal fibrosis are commonly found and directly associated with renal malfunction and prognosis. 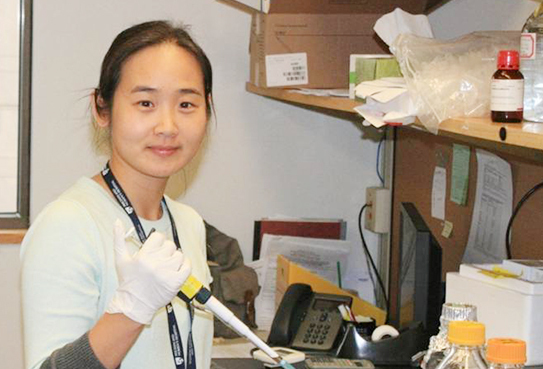 During the whole training period, I participated in the research on the mechanism of renal fibrosis of the Kidney Research Institute of Harvard Medical School and focused on its inhibition methods. During the training period, I studied the interaction between the already-widely-known "TGF-beta (transforming growth factor-beta) route and the autophagy route of removing special protein and cell organelles during renal fibrosis and published relevant papers. In addition, I found that TAK1 (TGF-beta activated kinase 1), a growth factor playing a role of a medium of TGF-beta, is involved in the functions of podocytes adjusting glomerular filtration rates, related with the filtration of urine at the kidney, as well as renal fibrosis. TAK1 is involved in cell division, differentiation, and bioactive control by affecting various cells and TAK1 growth factors play an important role in promoting the regeneration and recovery of tissues while scars on the skin and scalp are recovering. After my research, I wrote a paper about the kidney disease bio markers for patients with diabetes and the latest treatment method for chronic renal failure with my advisory professor Mary E. Choi. This training was a precious opportunity to learn up-to-date knowledge of kidney diseases. CHA Bundang Medical Center Neurosurgery Professor Kim Tae-gon completed his study on the differentiation of stem cells to GABA cells at the Molecular Neurobiology Laboratory of McLean Hospital located in Massachusetts, the US. GABA (Gamma-aminobutyric acid) cells, an inhibitory neurotransmitter, were found to be effective for cerebral blood flow, epilepsy, schizophrenia, and pain caused by posttraumatic neurosis and are being studied in various fields. McLean Hospital, an affiliate of Harvard Medical School, located in Belmont, Massachusetts, the US, is a leading research institute in the stem cell field. 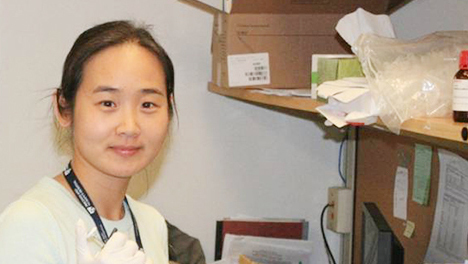 During the training period, CHA Bundang Medical Center Neurosurgery Professor Kim Tae-gon studied the differentiation of stem cells at the Molecular Neurobiology Laboratory of McLean Hospital. The research participated in by Prof. Kim Tae-gon does not only facilitate researches related to the disease mechanism and generation but also enables cytotherapy and regenerative medicine including the stem cell"s industrial application and transplantation. 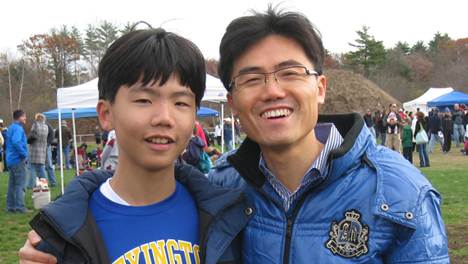 "I"d like to appreciate Hospital Director Ji Hun-sang, Prof. Jeong Sang-seop, Department Head Jo Gyeong-gi, and my respectable instructors, Prof. Kim Gwang-su and Dr. Jeong Sang-mi, giving me such a good chance of training," said Professor Kim Tae-gon. medical service, meal assistance, cleaning, and rehabilitation programs. The Chanuri Volunteer Group will keep doing its best to help underprivileged people. through continuous proactive activities of Guardian Angel Fund. Korea’s first Nobel Prize winner in Medicine. 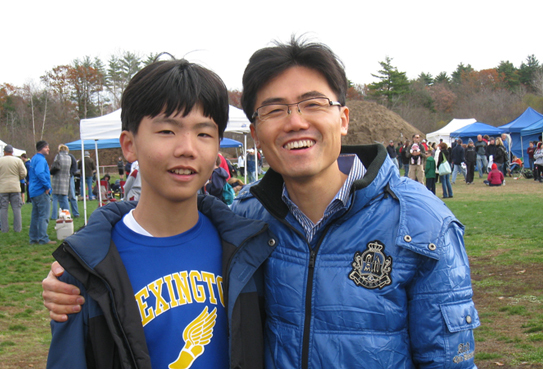 for overseas Koreans in 2014.
and four adolescent and adult patients had a surgery from July 4 to 15, 2011. Kim Shi-ho visited Tashkent, Uzbekistan and examined about 60 patients with heart conditions. to five low-income foreign patients with heart conditions. patients (1 Goryeo person and 4 Kyrgyzstan people) and provided free cardiac surgeries from June 18 to 26, 2012. Bundang Medical Center and the patients received cardiac surgery from June 19 and 21, 2012.
to eight Goryeo and Uzbekistan people suffering from heart conditions.